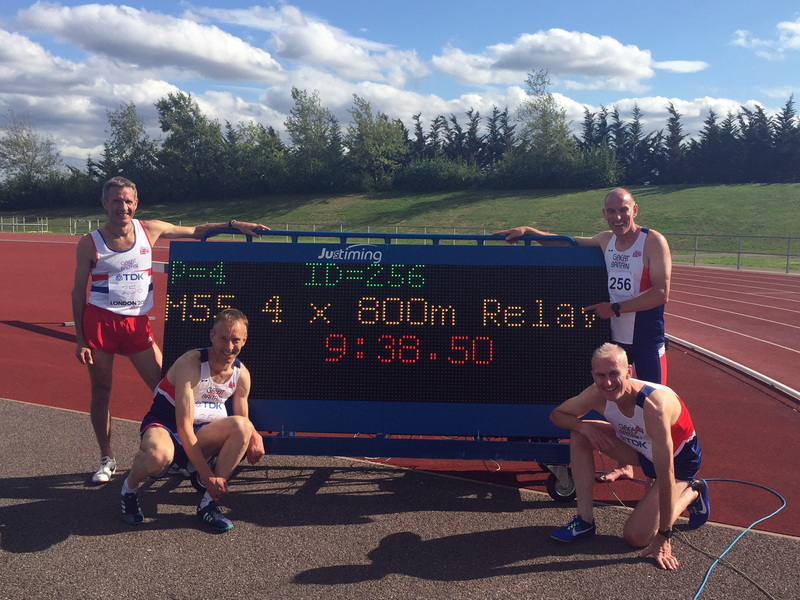 As many of you will now know, last Sunday (19th August) I took part in a successful attempt on the British 4 x 800m relay record in my age category. Before giving you some background to this, I’d like to thank all of you who have offered your congratulations – it’s meant a lot to me. Many Harriers have put the club on the map over the years, and it’s been great to contribute to that. After meeting the other guys, sorting out a GB vest and getting numbers, I went for a warm-up on the adjacent golf course. It seemed rather overgrown and unkempt, so I set off up a fairway, only to have a golf ball narrowly whizz past. Too close for comfort, I ducked through some bushes and headed back to the stadium, and on the way was buzzed by a drone filming a Hindu wedding ceremony. None of this helped my nerves. Five teams lined up, with rules as per the 4 x 400m: first leg to break from lanes at 100m, with the same changeover zone extending each side of the start/finish line. I was running the third leg, and it was clear from the gun that we were the back markers with the crack M50 squad in a leading group of three with two M40 teams. I don’t have any splits, but I know that my first lap was hard, really hard. With the wind, it was probably harder than any 800m than I’ve run for years, and then I had to pick the pace up. With 300m to go, I flew down the back straight with the following wind, and then seemed to come to a standstill in the headwind on the final bend. From there, it was a flat out sprint down the straight to hand over to our anchor runner Jon. After his two laps, Jon crossed the line in 9:38.50, setting a new record by 30.2 secs. And we didn’t drop the baton. To be honest, an average time of 2:24 per leg left me feeling underwhelmed, but the exhilaration of having set a British record soon took over. The M50 team missed out on a world record by an agonising eight hundredths of a second – that bloody wind – but just a few minutes after our race, an M40 4 x 100m squad anchored by Dwain Chambers set a new world record… stunning to watch. 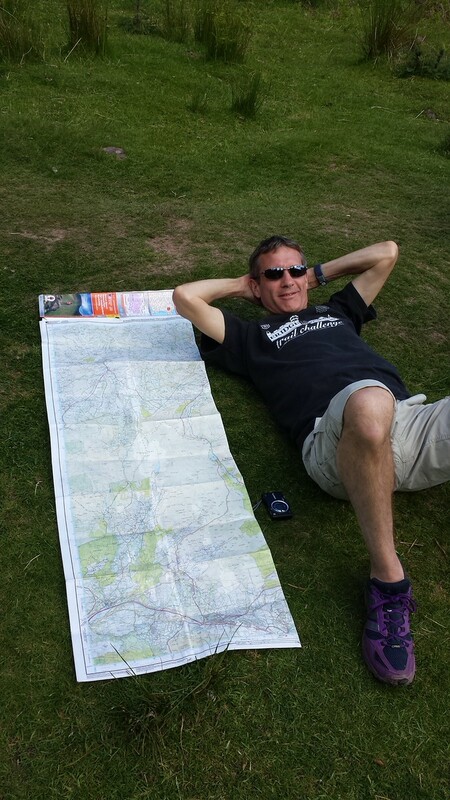 I made a conscious decision to take part in events outside my comfort zone this year, ranging from the North Downs 30k all the way down to a couple of 4 x 100m relays, with a variety of road, cross country and racewalking events (yes!) in between. This was definitely the highlight though… I’m not sure I can top it in the remaining 4 months of 2018.